We’ve had unseasonably warm weather in southwest Oklahoma for the past few weeks. This should make me rather crabby because October is my favorite month due to its normally crisp prettiness, but this year I don’t mind as much. Why? The garden loves it. Our vegetables and flowers are making the most of this extra warmth, which makes me smile every time I set foot out the door. So, what did we plant this year? Let me show you. 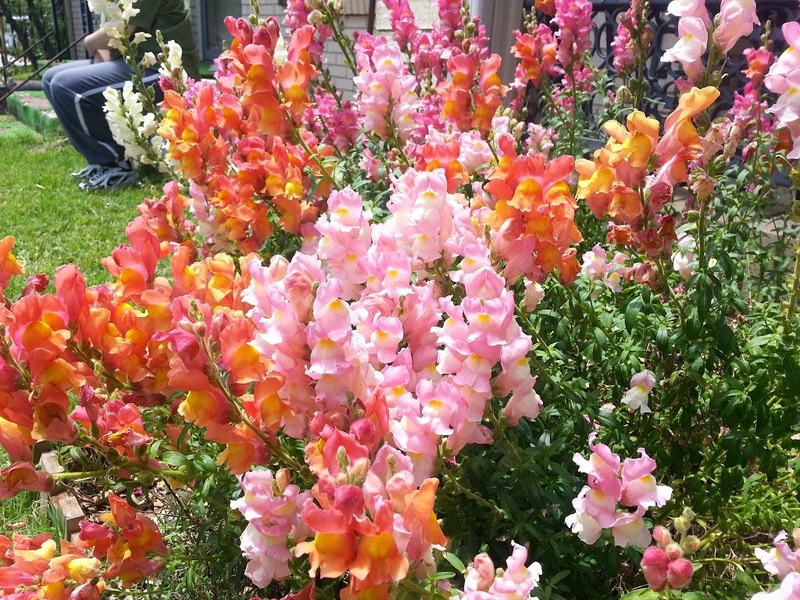 Our magnificent snapdragons. Jerk caterpillars. 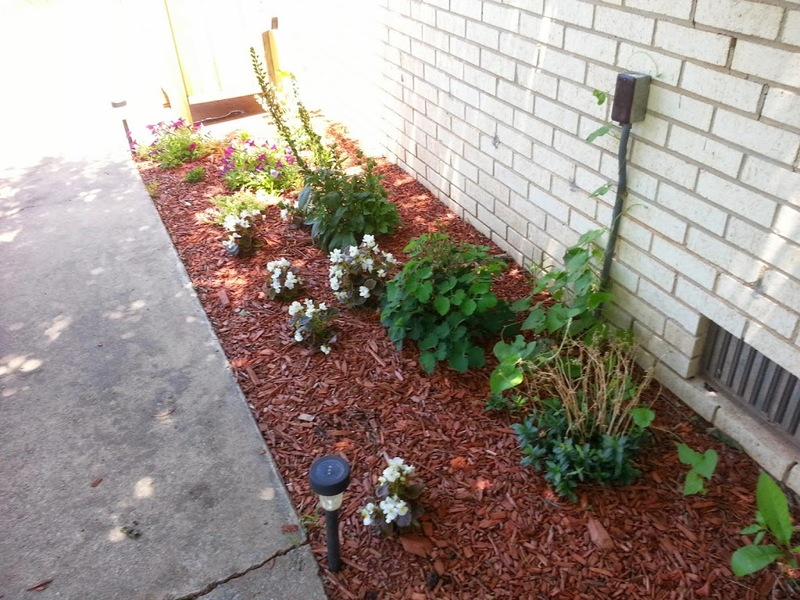 When we first started to work on the yard in 2008, which seems like an eternity ago, we focused mostly on the existing flower beds and started with morning glories and snapdragons. Both flowers took hold and have reseeded themselves for years, though we finally lost our snapdragons this spring to a huge invasion of caterpillars. Jerks. 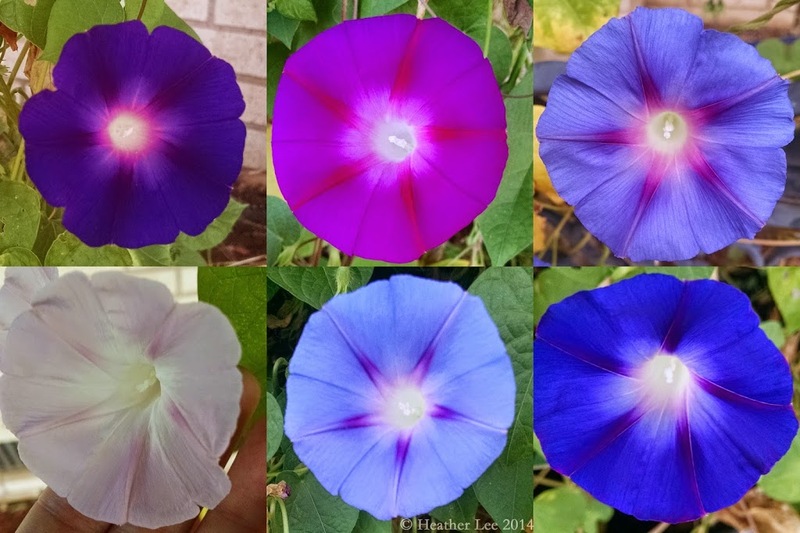 The glories are still going strong in the front of the house along the porch trellis and on the side along our storm cellar counterweight. Last year we planted another set of glory seeds in the south bed. My favorite aspect of them is their color change from one day to the next. They’re like little Christmas presents. The array of glory colors from this year. This year we decided to experiment a bit with what we put into these beds. Up front went a Shasta daisy, some marigolds, and some gorgeous little pansies. 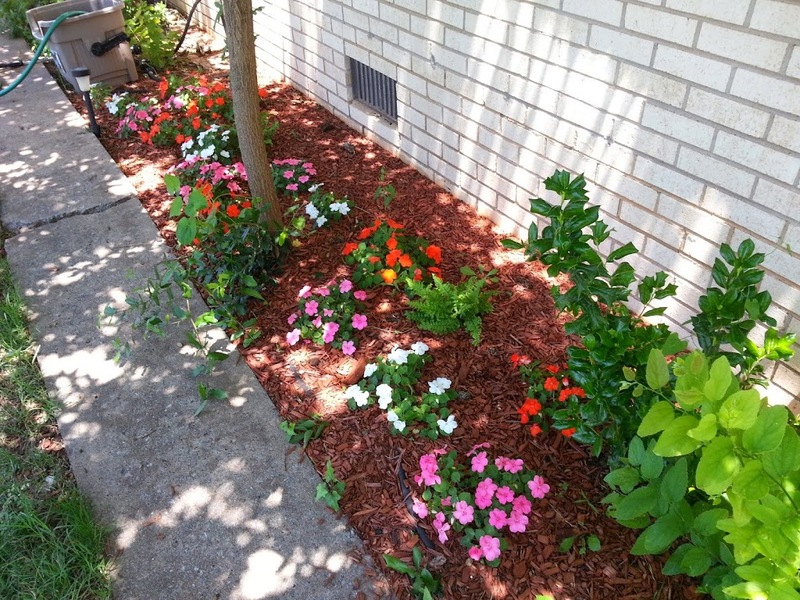 The side beds had to take more shade tolerant flowers, so we put in impatiens, a couple of ferns, white wax begonias, wood phlox, wave petunias, a foxglove (because why not? ), calibrachoas, and dianthus. Most of these were rescued from the clearance racks of various garden centers, which makes them extra awesome. This bed brought a lot of butterfly and bee activity into the garden. 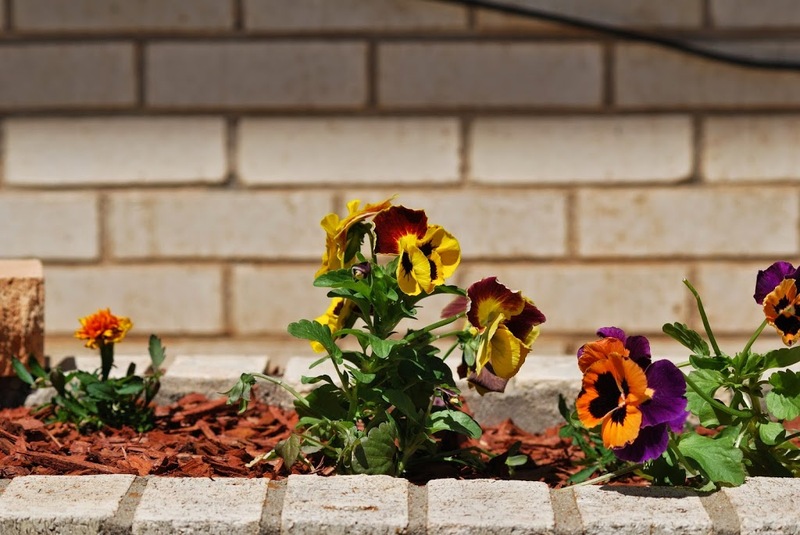 Pansies and marigolds up front. First half of the south bed in June. Second half of the south bed in June. Planters just after initial setup. 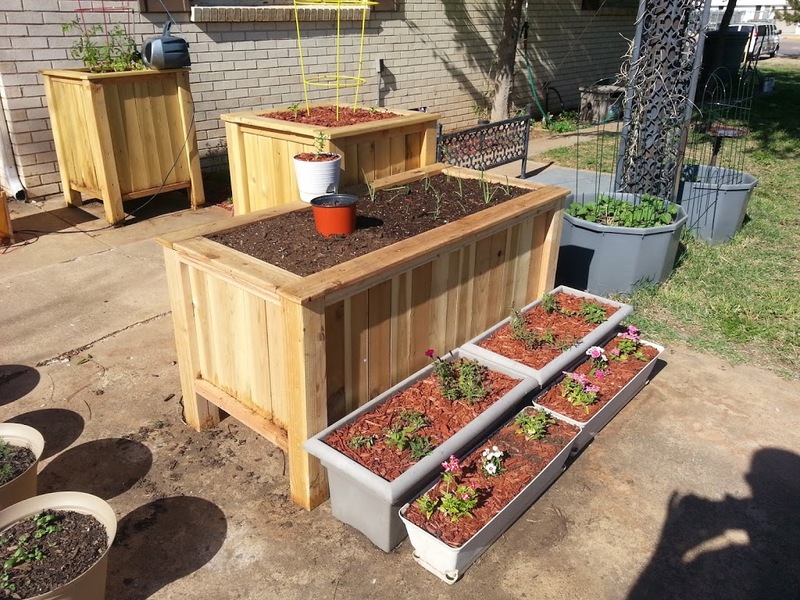 Earlier this year Brian built a set of cedar planters for us so we could expand our container garden on the driveway. We have two vertical for tomatoes and bell peppers, and one horizontal for onions and carrots. They’ve been hugely successful and provided the ingredients for quite a few meals since he set them up. They’re really pretty and have made the driveway look a thousand percent better, especially in conjunction with the smaller planters around them. 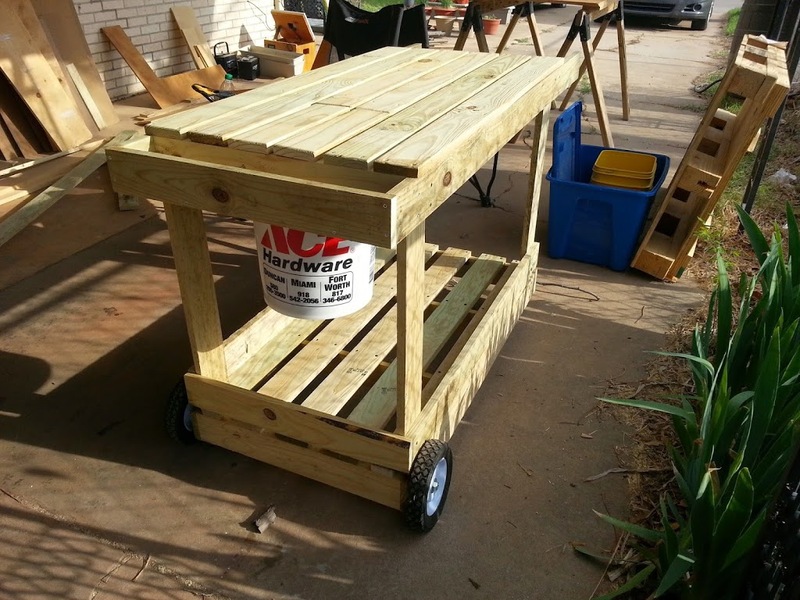 He also made me the most amazing garden cart in the history of garden carts. Look at this thing! The smaller planters include our herb garden: three large pots of garlic chives, a pot of dill, a pot of basil, and what has become a ginormous spearmint bush. Around those he arranged two long planters of purple wave petunias, and two smaller planters of verbena and dianthus. 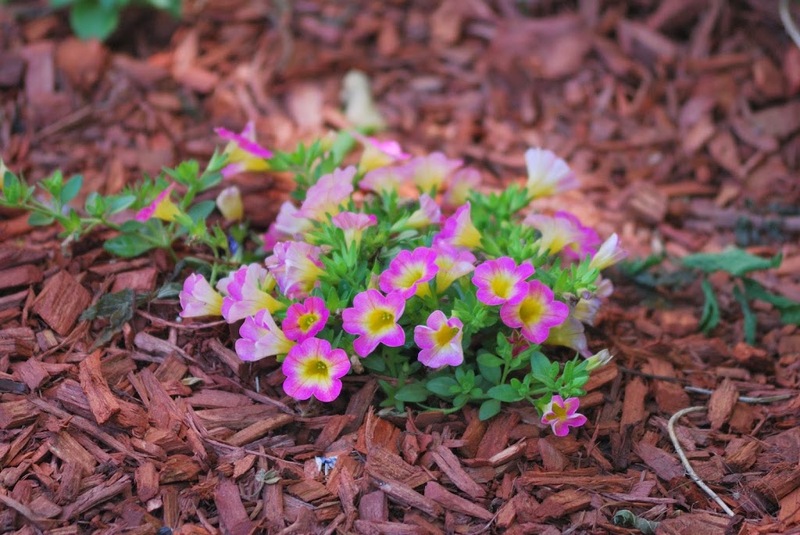 Those lovely red daisies are also going gangbusters these days (thanks, Chark!). 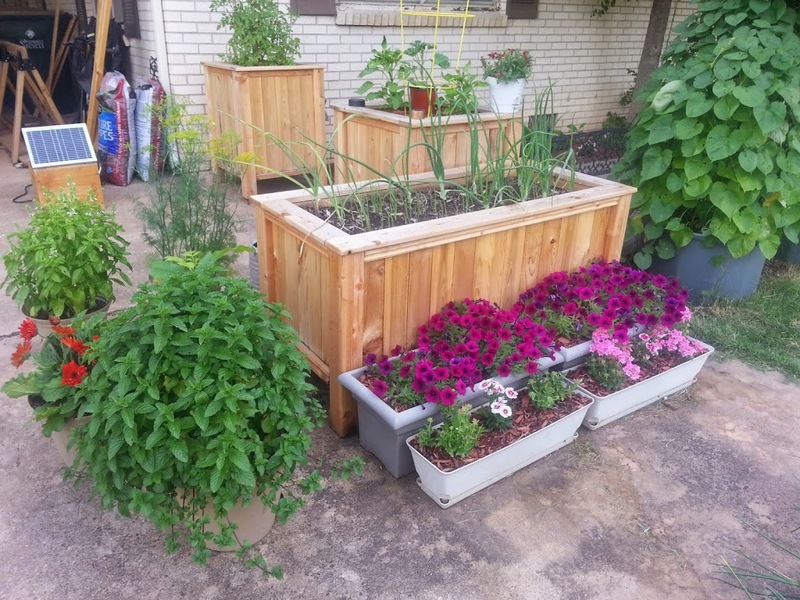 Herbs and planters in full bloom, mid-June. 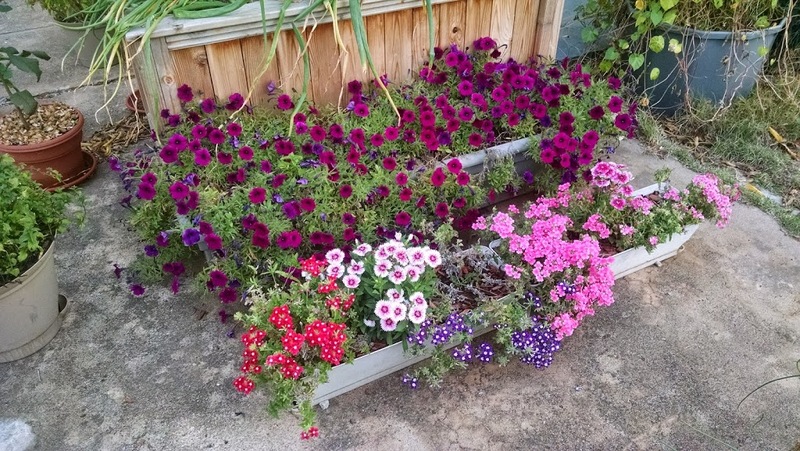 We were pleasantly surprised at how well the petunias, verbena, and dianthus have done in those small planters. They’re especially enjoying the current weather, blooming in full splendor every morning. Small planters just after 8:00 this morning. And, in a giant pot all its own along the driveway fence is a Japanese honeysuckle, because honeysuckle is the loveliest scent on the entire planet. While preparing all this Brian found a squirrel-planted pecan that had taken root in one of our petunia planters, so we decided to give it its own pot and let it grow (see pic above, left side of the onion planter). Like the honeysuckle, we’ll take it with us when we buy a house. Some things are just too cool to leave behind. I can’t talk about the garden without mentioning how we manage to keep it alive during the never-ending draught we’ve been stuck in. Brian came up with this idea a couple of years ago: rain barrels. He started with one, hooking it to the gutter drain and (ingeniously in my opinion) to the condensation dripping from our air conditioning unit. That drip line has probably provided more water than rainfall over the past few summers. This year he added two barrels to our system, which allows us to catch more water when it does rain and to pump water from the condensate barrel to the others when it doesn’t. We hand water everything from these barrels, which lets us save money and community water. Win! Honestly, I can take very little credit for the lovely state of our garden this year. All I did was choose a few plants. Brian did all the work setting it up and has done all of the work maintaining it over another dry, awful summer. The next time you see him out and about, give him a high five. He deserves it!